Heir Island, one of Carbery’s Hundred Isles located in Roaringwater Bay, is surrounded by some of the most idyllic and picturesque sailing waters in Europe. 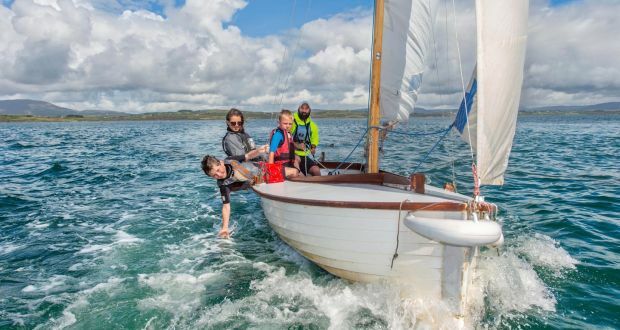 For those who want to take advantage of the area’s ideal sailing conditions, Heir Island Sailing School offers Irish Sailing approved courses and have Bord Failite approved accommodation. Sail and Learn English! — An eleven-day sailing and English language course that offers foreign students the opportunity to immerse themselves in language, nature and culture. The language training is delivered by a TEFL-qualified teacher for two hours everyday. For any further information or to customise an experience, please visit www.heirislandsailingschool.com or get in touch directly with Kevin, the centre principal, at kevin@heirislandsailingschool.com or by phone on 087-1488127. Follow Heir Island Sailing School on Facebook and Instagram! We offer one and two-day cookery courses from April to June. 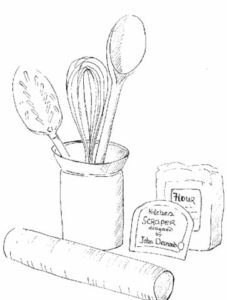 An intensive cookery course is available during the months of July and August. A morning intensive course is possible usually on a Thursday, July and August. Further details can be found on www.islandcottage.com. It is always better to call (+353-28-38102). For more information, visit www.heirislandretreat.ie and follow them on Facebook and Instagram.